Are you new to chicken keeping and don’t know what to feed your pets? As well as our brilliant range of chicken feed and corn in large sizes we are now offering sample bags at just £1.00 each. This is an eggcellent way for you and your hens to try our products before buying the full size version. We currently have sample bags of Organic Layers Pellets, Organic Mixed Corn Aubiose Bedding…but more will be available in the next few weeks. Win a £50 Omlet Voucher! 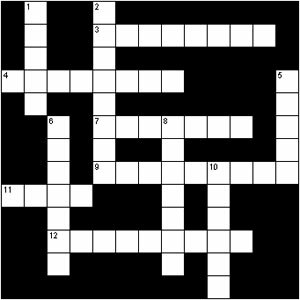 Time for another competition, and this time it’s a crossword – the first Omlet crossword of 2011. These are always a firm favourite with you lot so we do hope you enjoy having a go, though with an egg theme it might leave you feeling a little peckish! When you’ve completed your crossword just email it to stephanie@omlet.co.uk or post to Stephanie, Omlet Ltd, Tuthill Park, Wardingon, Banbury, Oxon, OX17 1RR. Three winners will be randomly selected from correct entries, with a £50, £20 and £10 Omlet voucher up for grabs. Enter our Egg themed crossword to win!